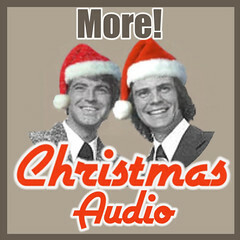 >13 different versions of "Frosty the Snowman"
>"Ringo for Christmas" / "All I Want For Christmas Is A Beatle"
>Christmas; Time For Song Featuring Thurlow Spurr And The Spurrlows Singing 12 Seasonal Favorites! >Charo - (Mamacita) ¿Donde Esta Santa Claus? >Dennis Day Sings "Christmas Is For The Family"
>Jingle Bells (28 different versions, a bongolong compilation) Comp. 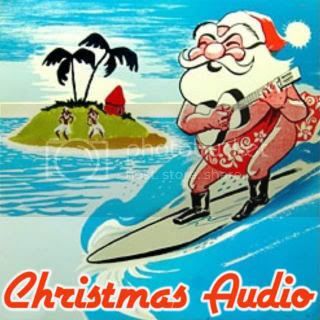 >The New Christy Minstrels - Merry Christmas! >The Three Suns - A Ding Dong Dandy Christmas! ... and some Western Christmas Songs. Yihaa! Learn to accept Christmas. How to Talk the Talk. What's in Grandpa's sock drawer? Paris Hilton's latest video - uncensored! Download a New Percy Trout Mix! Hit! ... by a man in a gorilla suit.